HANCOCK — With colder weather comes snow and with snow comes the need for snow removal and the City of Hancock is reminding motorists to park their vehicles somewhere other than on the street. 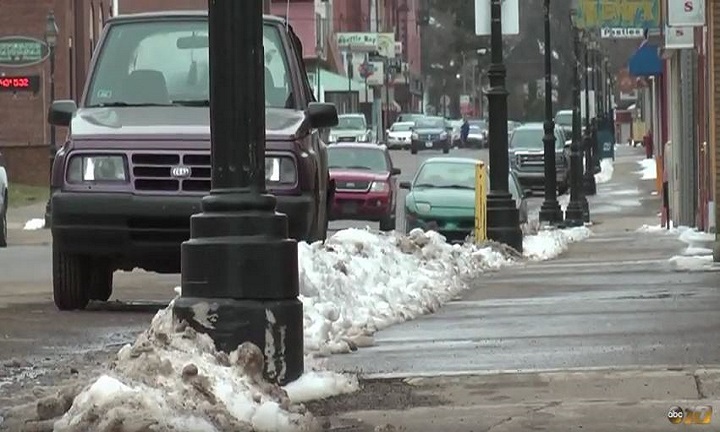 The city’s winter parking ordinance that prohibits vehicles from parking on city streets in the overnight hours and could cause for the towing of the vehicle costing its owner a $100 towing fee plus a $25 parking citation. Police Chief Wayne Butler Describes parking citations as a two part process for police officers who are unnecessarily pulled from tending to other matters in the community. “We’re outside in the winter, we’re issuing the citation, we have to came back and enter the ticket, we have to go up to the wrecker yard which has to be plowed then the officer returns back to the station and has to enter the ticket in there, so that’s the first process of a $25 citation,” said Butler. Butler says that residents are urged to contact the police department if they have questions as to where to park. “The second process is when the person comes to take care of the citation and most times they don’t have transportation. So again, the officer has to stop what they’re doing. drive this individual up to get their vehicle… and again that’s for a $25 citation, so what we’re asking is don’t park your cars on the road during the winter season. When in doubt call us and ask or get permission because sometimes we can find alternative parking,” he said. Earlier this fall, the department began placing courtesy cards on vehicles that were parked illegally, as a friendly reminder to motorists to prepare for the winter parking ordinance, rather than issuing warnings or citations.